You are here: Home » MEDIA » Films » Morgan (first trailer). Downloading an A.I into a clone body is not a good idea – it’s how Bladerunner starts! 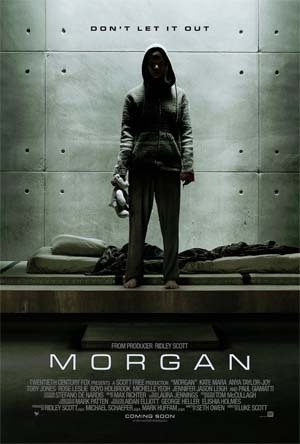 In this scifi horror film, Morgan, a corporate troubleshooter (Kate Mara) is sent to a remote, top-secret location, where she is to investigate and evaluate a terrifying accident. She learns the event was triggered by a seemingly innocent “human,” who presents a mystery of both infinite promise and incalculable danger. « The Space Between Us (first trailer).